As part of Bring Your Legislator to School Month, our state senator and representatives were invited to visit El Dorado Schools. 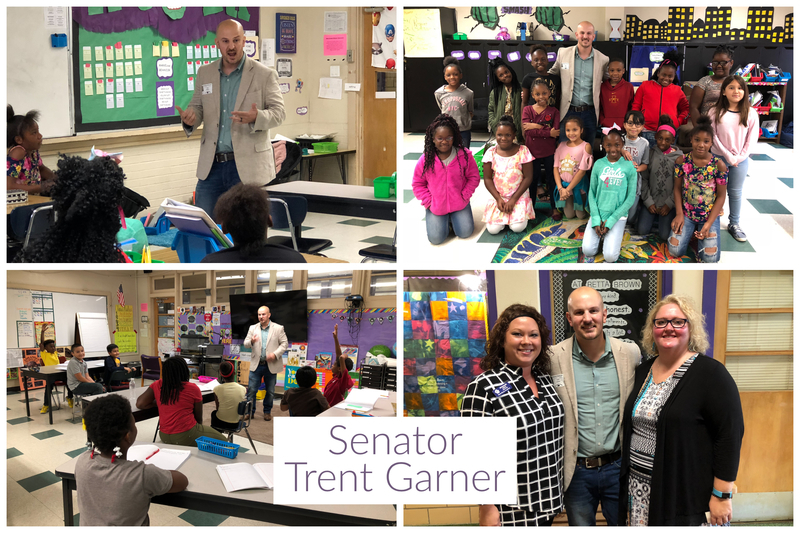 State Senator Trent Garner visited Retta Brown Elementary on September 12. During his visit, Senator Garner toured the elementary school and visited several third and fourth grade classes. He also met with Principal Bethanie Hale and Beth Sullivan, Director of the District's Gifted & Talented Program which holds its classes at the GT Center at Retta Brown. Mrs. Hale and Mrs. Sullivan shared some of the successes of Retta Brown and the GT program and then Senator Garner asked to hear their concerns and learn ways he might help educators in Arkansas. 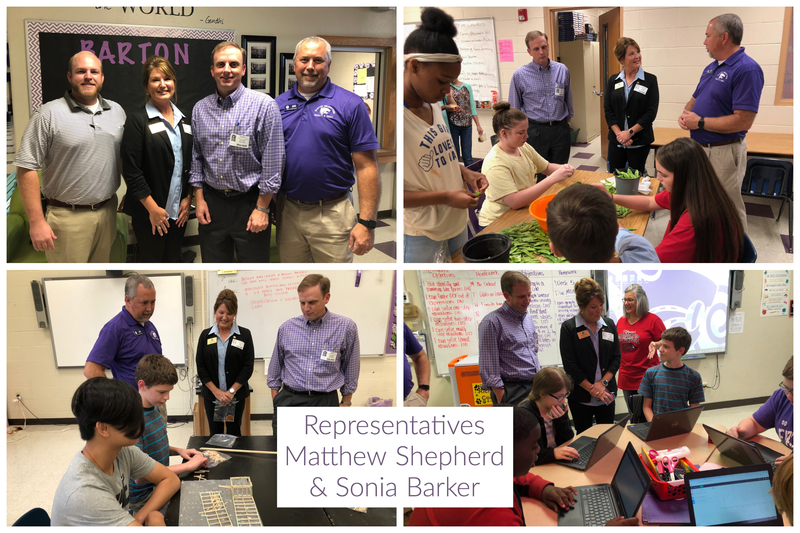 On September 26, Arkansas Speaker of the House Matthew Shepherd and Representative Sonia Barker visited Barton Junior High. Assistant Principal Mark Smith took the Representatives on a tour of the school, stopping along the way at a few classes including Mrs. Coan's Algebra I class, Cultivating Culinary Tools, Robotics, and a STEM class. They were able to see the school's greenhouse and get a firsthand account of what our Junior High students are learning and some of the electives they have the opportunity to take. We appreciate these legislators for their work in the state and for taking the time to visit our schools!